It is 2002, and as the reverberations of 9/11 echo across the globe, tensions run high on Cairo’s streets. Private investigator Makana, in exile from his native Sudan and increasingly haunted by memories of the wife and daughter he has lost,is shaken out of his grief when a routine surveillance job leads him to the horrific murder of a teenage girl. In a Country where Honour killings are commonplace and the authorities seem all too eager to turn a blind eye, Makana determines to track down the perpetrator. He finds unexpected assistance in the shape of Zahra, a woman who seems to share Makana’s hunger for justice. Seeking answers in the dead girl’s past he travels to Siwa, an Oasis town on the edge of the great Sahara Dessert, where the law seems disturbingly far away and old grievances simmer just below the surface. As violence follows him through the twisting, sand-blown streets and an old enemy lurks in the shadows, Makana discovers that the truth can be as deadly and as changeable as the desert beneath his feet. 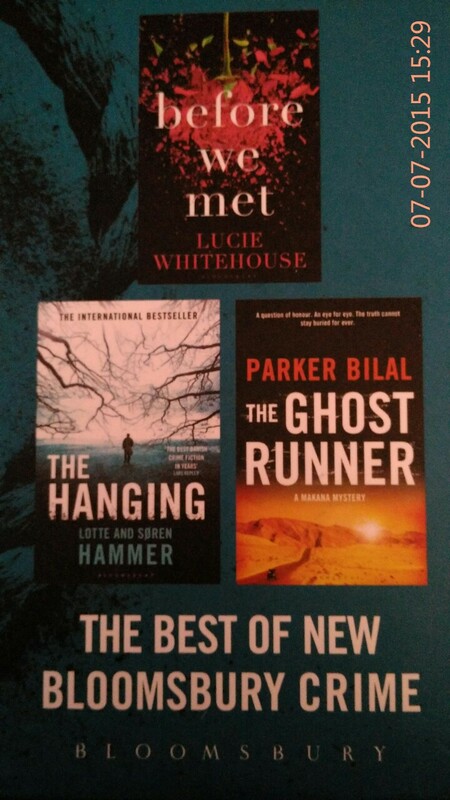 The Ghost Runner is good in bits n parts. Makana, a Private Detective is spying on Magdy Ragab-a well known lawyer on the orders of Mrs. Ragab. All hell breaks when Makana comes to a realisation that Ragab has a daughter named Karima who is fighting for her life in a private hospital, though Ragab insists that he is not her father. Tables turn when Ragab himself hires Makana’s services to find the culprit who killed Karima. The search for Karima’s killer thus begins and Makana meets Zahra who works for women empowerment and was close to karima. Zahra has a different tale to tell,Karima’s real father who vanished years ago is back and could be the person Makana is searching for. To find the truth Makana visits Siwa ,place where Karima’s parents lived before. 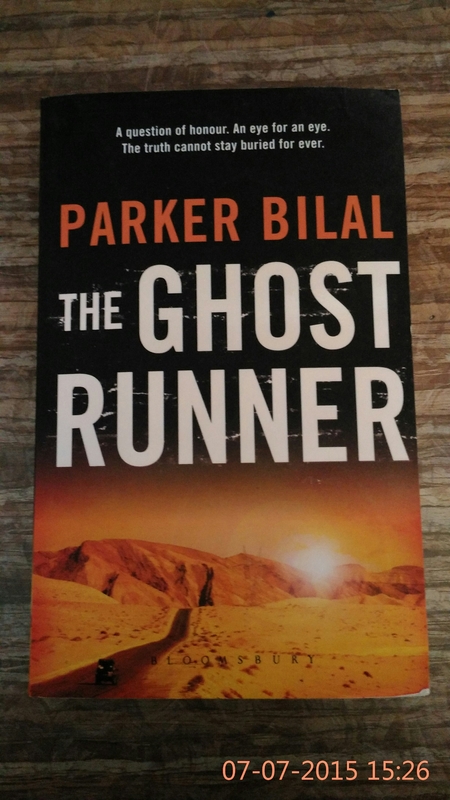 The Ghost Runner is interesting in parts ,but not a page turner types. You need to keep patience while reading it. On a cold Monday morning before school begins, two children make a gruesome discovery. Hanging from the rooftop of the gymnasium are the bodies of five naked and heavily disfigured men. 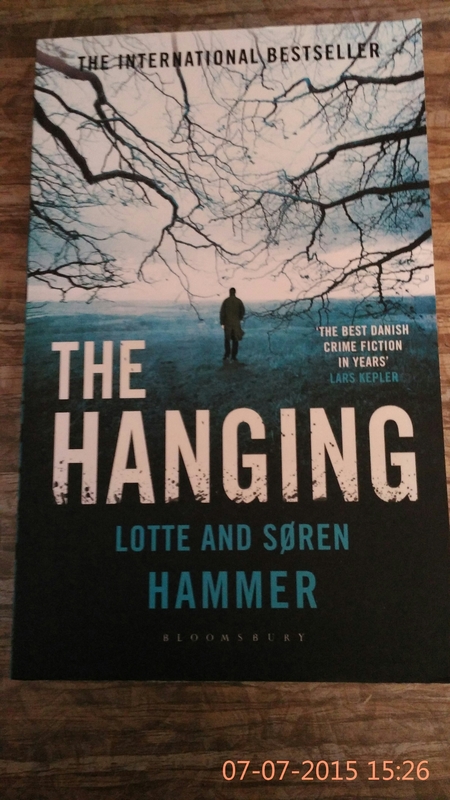 Detective Chief Superintendent Konrad Simonsen and his team from the murder squad in Copenhagen are called in to investigate this horrific case-the men hung in a geometric pattern ;the scene so closely resembling a public execution. When the identities of the five victims and the disturbing link between them is leaked to the press, the sinister motivation behind the killings quickly becomes apparent to the police. Up against a building Internet campaign and even members of his own team, Simonsen finds that he must battle public opinion and vigilante groups in his mission to catch the killers. Unfortunately, The Hanging is Dry and Boring. Simonsen has to cut short his vacation trip with his Daughter and report on duty for this mysterious homicide taken place at a school; five naked bodies are found in the gymnasium. He is given full authority to work and lead the team his way. While investigating the crime scene, the police finds a geometric pattern in which the execution has taken place. The team works out every minute detail that can help them solve this case early. Media and Govt ‘s interest in this case doesn’t help much. The Hanging has the same basic plot of murders, Detectives, chase, mystery solving, etc., just like any other crime thriller. But, unfortunately The Hanging failed to match my expectations. It proved to be a total waste of time. 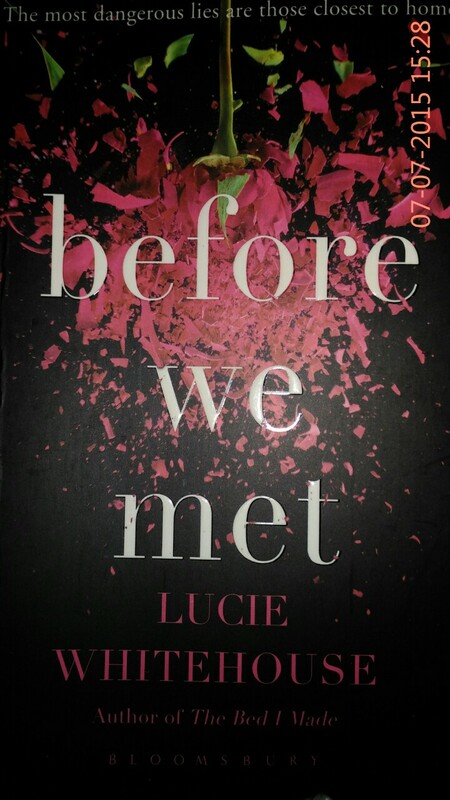 Before we met keeps you hooked till the end. Hannah Reilly reaches Heathrow airport to surprise her husband-Mark, but ends up getting the shocker of her life, that her husband is missing. She tries to trace Mark at every front, airport, work, the hotel he stayed at, but fails. Just as one mystery leads to another, Hannah realises there’s more to Mark’s missing act. Everyone at Mark’s office thinks the couple is holidaying together and thus Hannah starts to doubt her husband. Women have this unique power of sniffing out the truth no matter what the men say or try to conceal. Hannah keeps digging down information about Mark, his family which he always kept silent about only to realise a bitter past. A dark and scary past attached to Mark and his brother. I have added half a star for the lovely cover. Trish is twenty-eight. She’s Unemployed, Overweight, Single and Snarky. She knows all that. And if one more person – just one more person – tries to fix her, she might explode. Sahil is thirty-five. He has superpowers. Well, kind of. He seems to think so, anyway. He’s also hot(in a geeky kind of way, but still). And he plays the guitar, helps the underprivileged and talks about his feelings. Aren’t guys like that supposed to exist only in fantasies? When Trish and Sahil meet magic happens. Real magic, you know, like fireworks, electricity, that sort of thing. But here’s the problem. Trish doesn’t want anyone in her life. She has enough to deal with – dependent parents, flaky neighbours, bitchy editors, the works. And yet, Sahil is determined to be in her life. There’s something about you is quirky, witty and highly entertaining. 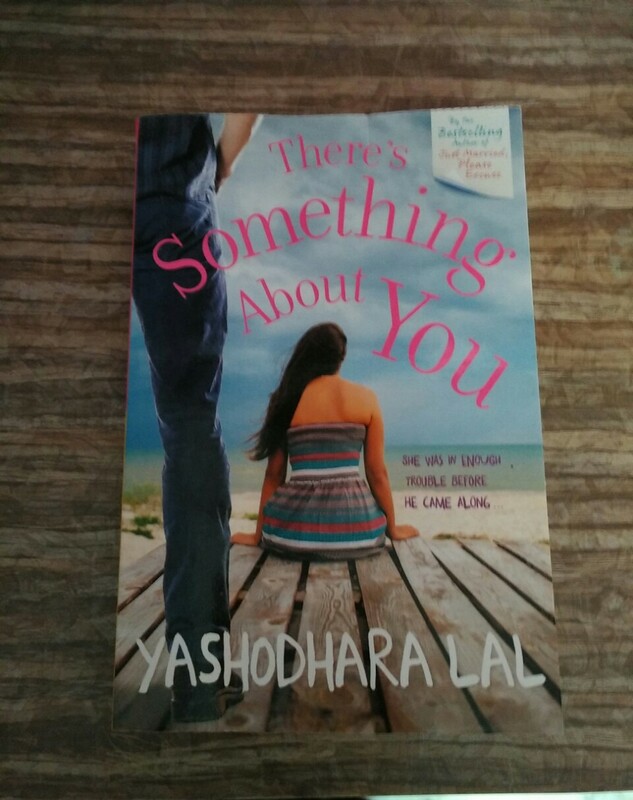 There’s Something about you is Trishna aka Trish’s story. Trish is a modern Independent girl who works as an head of Content Dept, lives with her parents in Mumbai and has only one person who she can call her friend. Life takes an unknown turn when Trish loses her job. For Trish, who started working just after college, this situation is new and it doesn’t help knowing her parents depend on her, and to her annoyance she is forced to babysit her friend’s daughter. After some unsuccessful interviews, Trish finds herself in a zone where she is pitied and given Freelance work. One such article changes Trish’s life. Soon Trish has found a way to earn a steady income. Just when She thought life will go back to being normal, she bumps into a stranger who will again change her life forever. Sahil and Trish meet in an unusual, dramatic way. He is sure he has super powers, she is sure he is a Psycho. Sahil is adamant to make his way in Trish’s life, more to her annoyance He is the only one who knows what Trish is upto. I was completely sold at the blurb of this book and am so happy that this book is beyond my expectations. What I really liked about this book is Trish’s never ending sarcasm, her practical approach to every problem. This book is witty and will entertain you for sure.